Today's Word of the Day, Cream City, is one of many outdated nicknames for American cities based on former industrial dominance. 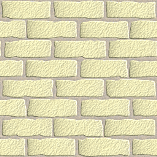 The cream-colored bricks used to build many of Milwaukee's buildings in the 19th century and onward were originally fired in the city. While many organizations in Milwaukee still use the old Cream City namesake, Brew City is a much more common nickname for Milwaukee, whose dominance in the beer industry prevails in the minds of Milwaukeeans and other Americans alike. Can you think of any other ones? Oh, btw, if any of you nerds want to whip out your stylebooks and take me to task over the capitalization of hyphenated words in titles, give me your best shot. City Dictionary is a collection of user-generated dictionaries for every city in the United States. Our Citizens capture neat local slang and cultural tidbits for their cities and share them with the rest of the City Dictionary community. If it defines your city it should be on City Dictionary. Join us and share what you know! Madison, Wisconsin: Semantic Capital of the World? Barry Popik Cites City Dictionary's "Smallbany"